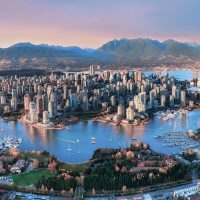 The next International Association of Campus Law Enforcement Administrators (IACLEA) annual conference and exposition will be held in the beautiful city of Vancouver, British Columbia, Canada, on 25-28 June 2019. The event will be hosted by the University of British Columbia with the conference hotels being the Fairmont Hotel Vancouver and the Hyatt Regency Vancouver. The conference is an opportunity to hear from some great speakers and learn from other international campus security professionals. All AUCSO members are invited to attend as delegates.